Acupuncture is a complementary medicine treatment which uses needles placed in the skin to alleviate pain and aid in the healing of many disorders. It originated thousands of years ago in China, however it is now also widely practised in the Western world. Despite its modern popularity there are still many misconceptions surrounding it, and for that reason it is necessary to separate the myths from the facts. Acupuncture is becoming increasingly credible as a medical treatment in Western cultures. Clinical tests have shown that the procedure has a beneficial effect on blood pressure, pain relief, the immune system, and many other aspects of health. The ancient Chinese believed that meridians in the body carried energy, and that when these meridians became blocked problems would occur. By placing needles at certain points along these meridians the blockages would be removed, the energy could flow again, and health would be restored. Modern medicine has discovered that these meridians correlate to important points of the human nervous system. It is easy to understand why people would think that acupuncture is a painful procedure, in that it involves inserting multiple needles into the skin. However it must be remembered that the needles used are not typical vaccination needles, but are instead very fine and thin. Moreover, acupuncturists are highly trained and skilled technicians, and know how to insert the needles in such a way as to be barely felt and absolutely painless. Once again, acupuncturists are professionals, and they take the care of their customers very seriously. In any professional acupuncture clinic hygiene is of paramount importance. A new set of sterilized needles will be used for each and every patient. Any used needles are safely disposed of at the end of the session. It is believed that acupuncture treatments cause endorphins to be released into the body, which work as a very effective natural painkiller. Despite this fact, acupuncture is actually used to treat a variety of conditions, both physical and psychological in nature. It has been used very successfully in treating headaches, allergies, insomnia, depression, and infertility. Moreover, some people claim that acupuncture therapy is the only way that they have been able to quit smoking. A lot of people will feel the benefits of acupuncture immediately, however their problem may not be solved. Most people require several acupuncture treatments to rid themselves of symptoms completely, although never usually more than eight to ten. This is often no longer than other methods used in traditional medicine. 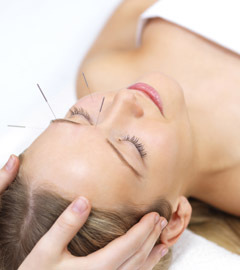 Furthermore, many acupuncture practitioners can suggest a full range of treatments to address the root of any problem. These may include Chinese herbal medicines or feng shui to improve living conditions. Acupuncture is now a popular treatment in many countries around the world, and one which is believed to be highly effective. As with any other complimentary medicine there will be some people who dismiss it out of hand based on certain myths. By refusing to keep an open mind these people are simply preventing themselves from experiencing the healing qualities of acupuncture. Michael Schnippering is the founder of Feng Shui at Work. After more than 12 years of practice he is committed to the true art and science of Feng Shui. He is also passionate about acupuncture, interior design and reiki. Keep the conversation on twitter @fengshuiatwork. © Copyright 2011 by http://www.NaturalTherapyForAll.com Acupuncture Newton Abbot - All Rights Reserved.